Who wouldn’t want to look like a K-pop star? Many will go through great lengths to achieve the dazzling looks K-pop stars so often display on stage. People spend hours and hours trying to duplicate the look of their beloved K-pop star. Just check online! There are countless makeup tutorials trying to reproduce the hottest K beauty trends. Looking like a K-pop star does not always entail this much effort, however. And it shouldn’t, especially for the upcoming hot summer days, when wearing heavy makeup is not ideal. The summer heat and the humid air might instantly melt away your foundation and mascara. For those makeup lovers out there, remember the pain when your foundation clumped with trickles of your sweat and your mascara carelessly smudged underneath your eyes. You had to endure the same every summer. Remember the despair you felt when you left your house after spending hours perfecting your makeup only to see it melt away in minutes. But do not fear. There are still ways to look and feel great like a K-pop star even without the heavy makeup. So here it is: How to look great like a K-pop star without spending the bucks and the time. 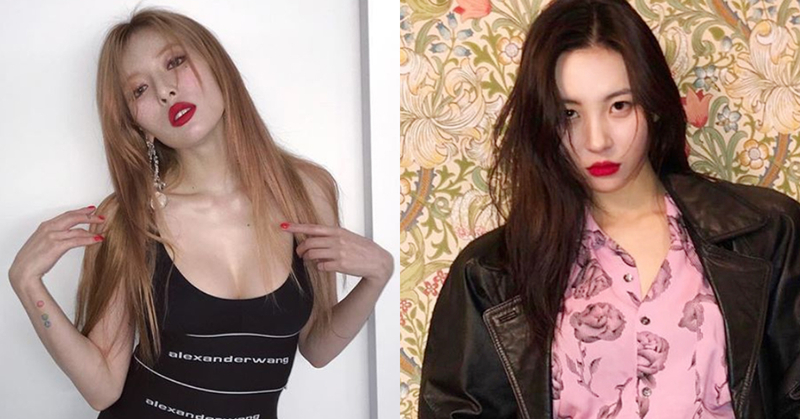 Let’s take a look at the iconic Hyuna and Sunmi. Their signature bold red lip is perfect on its own. Wear some light sunscreen to protect your skin from the brutal summer heat and pair with some of the boldest red lip colors and you are good to go for the entire summer! The bold color will draw the attention away from any blemishes or insecurities you might feel the need to hide. The light application of makeup will give you the confidence and comfort you need for summer. Here are some the products you can use to attain this look with ease. The products are lined according to price from most expensive to least. So no matter your budget, you can look as great as you want to be. 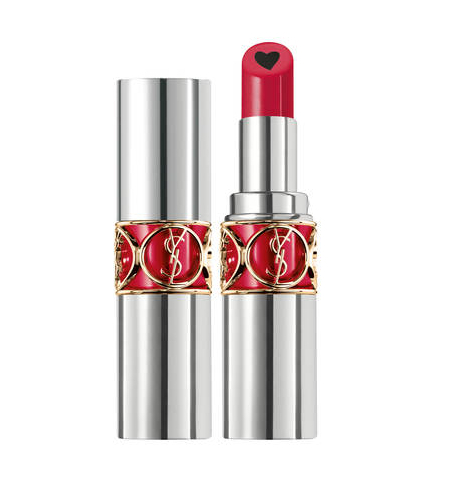 This lipstick is from Yves Saint Laurent and is one of the volupté plump-in-color products. The shade is No. 6, Lunatic Red. 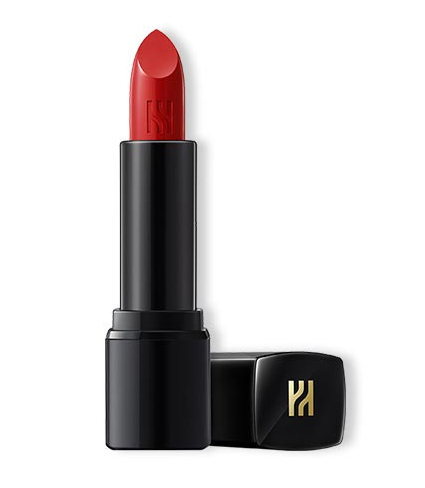 This product is exceptionally well-known as Hyuna’s lipstick. Even in the picture below, when a fan asked what product she was wearing on her lips, Hyuna proudly commented “Yves Saint Laurent!” This product is one of the high end brands and is priced at ₩45,000. This product is exceptional because it has the effect of plumping your lips, thus giving you a glossy and voluminous finish. 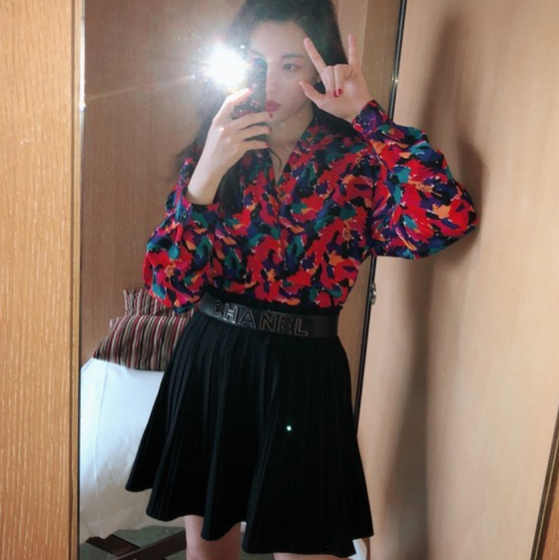 This Lip product became wildly popular after Sunmi appeared in a beauty show and told the viewers that this was her go-to lip shade while sharing her beauty tips. It’s in the shade No. 338, One perfect red, and will give you the old Hollywood classic red glam that you have been searching your whole life. This one is priced at ₩37,000. Now onto the ones that are more affordable. This product is from Missha’s signature Dewy Rouge line and is in the shade RDO1 Honey Apple. Just look at that seamless glossy finish. This product is proof that you can look like a million bucks with only ₩14,800. There's no other product that is more perfect for summer than the A'pieu's Juicy Pang tint. It makes your lips look like they have just bitten into a juicy ripe fruit. 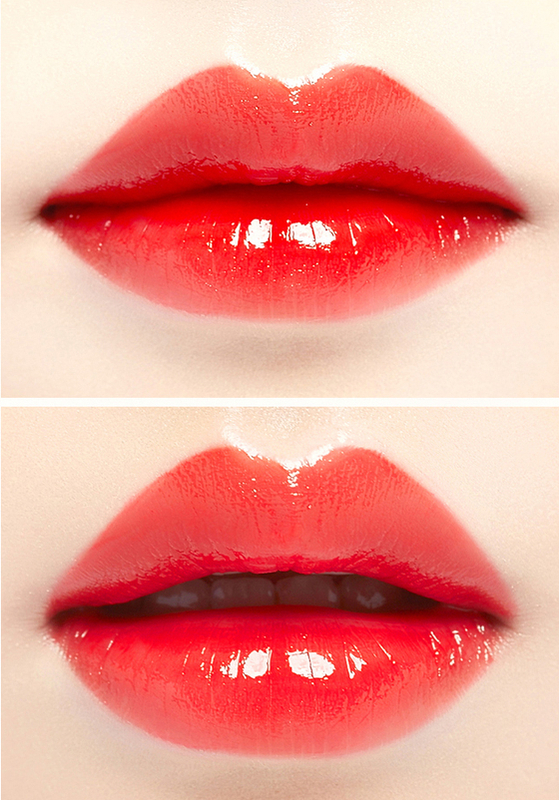 It gives you the glossy look but with a light texture, keeping your lips moisturized and light for the summer. The shade is RD01 and it is priced at ₩7,500. 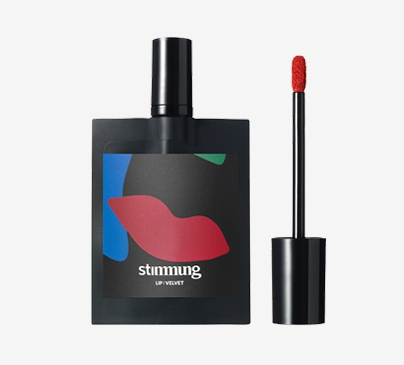 Last but not least, the last product is by Stimmung, and it is priced at... Are you ready? At an alarming ₩3,500! But don't be fooled by the price, because the quality of this product is nowhere near cheap. The brand is new, but it did not take long for beauty creators recognize and applaud the high quality of this product. Just look at the unique packaging! It is like no other. 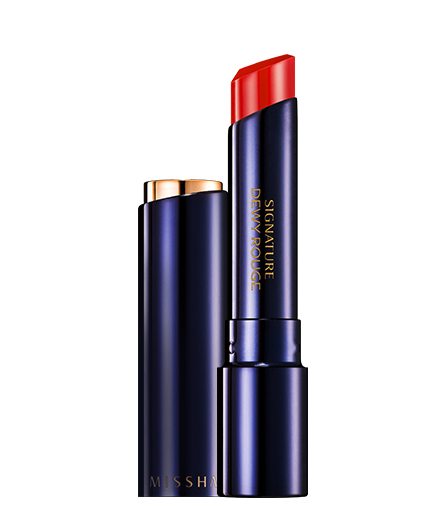 Since all of the products above were a glossy red, this one gives a more velvety and matte finish. But you can find glossy products on their website as well!